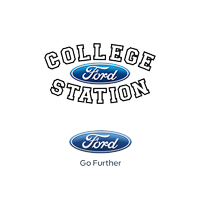 College Station Ford is proud to offer you the newest features and technologies available now in new Ford vehicles to our College Station customers. Now a days you’ll find cool new features like BlueTooth connectivity, Keyless Entry, Safety Technologies, and customizable instrument clusters throughout many of the vehicles in our inventory. Our team takes pride in knowing the ins and outs of these available features, but you can learn about them now by browsing our online resources pages. Then come in for a test drive to fully experience them in person! Our highly educated staff will gladly answer any questions you may have.